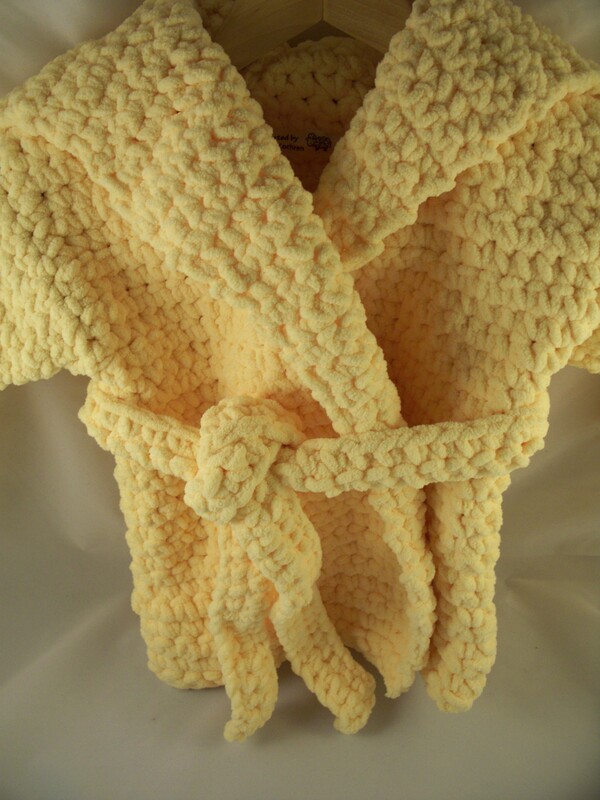 Today, I finished this fluffy yellow crochet child’s hooded robe. I enjoyed creating this piece for several reasons. 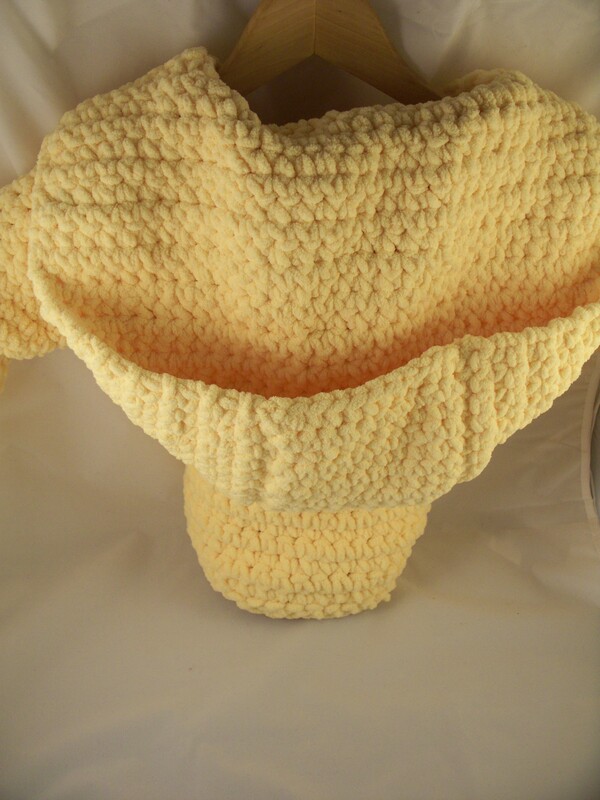 The yarn is super soft and was a pleasure to use. The stitches worked up quickly because the fiber is so thick and cushiony. Previous Post Biting off more than I could chew…….